It’s Saturday and the end to what was a very challenging week for Mr Aigbogun and his boys. Back to back draws albeit in fixtures we had our sights on wins only have all but ended our title defence. Rangers on Sunday and Sunshine Stars three days later. Our sights are turned toward the remaining Champions League fixtures as we play Egyptian side Zamalek. But with the NPFL La Liga tour, our preparations would have to make do without six of our players. Theo, Udoji, Dare, Akas, Osadiaye and Bassey. The LMC Boss says they will have to fly from Spain directly to Egypt and you wonder if those players would play any role at all in that encounter in Egypt. I mean we are preparing for a make or break encounter and ideally the key players for the tie should prepare together. But then again, this is somewhat a club vs National assignment situation and if I were any of these underlisted players, I’ll be on the Spain contingent. The experience however minute would be much preferred to another away game in the Continent. Add the fact that there is a possibility of probably getting a club that fancies you. Isn’t that in the listed objectives by the organizers? Someone would ask, you mean the players shouldn’t stay committed to the club and her own objectives? For me, I think there’s not one of those players underlisted who is indispensable to our Zamalek date. For Afelokhai we have Ocheje who kept in South Africa. For Akas there’s Uwadiegwu who featured in both Rangers and Sunshine games. On Uwadiegwu though, I’m wondering where his freekick prowess has gone to. We did have a couple of them against Sunshine Stars but somehow he ejected himself from the responsibilities. Not even coming close to ask to take any. It was bewildering to be honest. Anyway, for Dare there’s Uche at Right Back and Kester in the middle. There’s even Joseph Maamo, the guy we signed from FC Taraba, who hasn’t been given a chance to even play a minute this season. Somehow someone thinks he’s not good enough and the punishment is being denied any sort of playing time. If a player isn’t good enough for the League, is he also not good enough for the State FA Cup at least? Believe me, I don’t understand some of these things. Same can be said of Eric Frimpong whose elder brother Joetex played for us back in the day. He did shine a few times be saw action and I felt Enyimba would’ve used such player coming from either flank. One of Aigbogun’s biggest headaches this season is that there’s hardly been that player who has made himself indispensable in the team. Kadiri Ikhana last season quickly identified his preferred guys and stuck by them all through the season. They delivered. But here, new guy, new set of players. 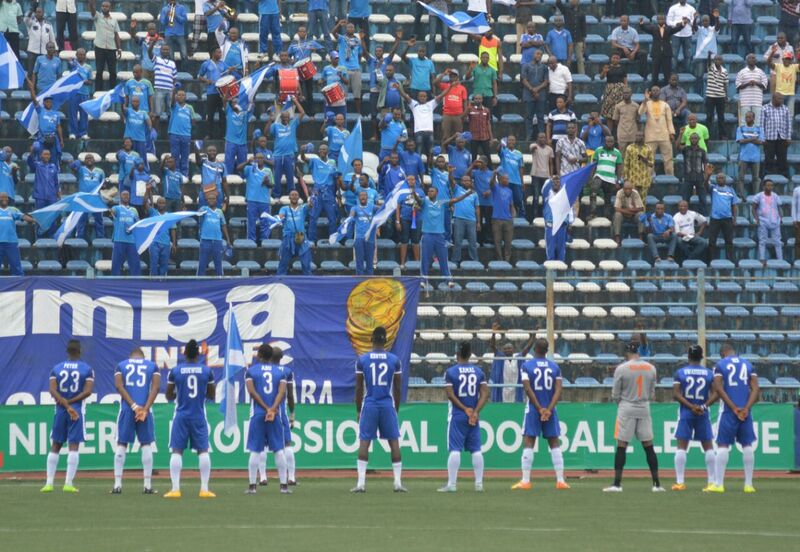 It’s been trial and error with the backdrop of crazy Enyimba pressure. We see what you next few weeks produce. But most importantly and like we’ve said dozen times already. I hope we have learnt the lessons of this season. Next postFinally Christian Obiozor speaks.